Putting together a Thanksgiving table can feel daunting, especially with the endless number of beautiful tables on Pinterest. 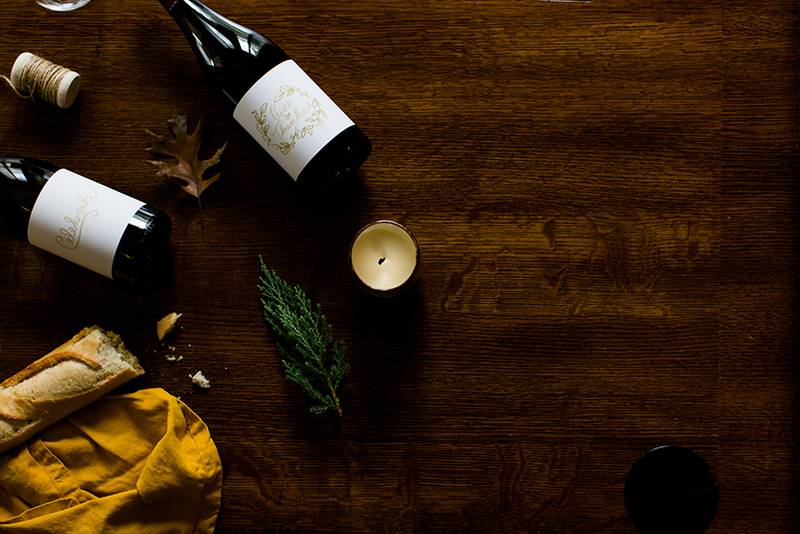 Whether you are decorating the table this year or you will be joining an already decorated table, we wanted to give you an easy and simple way to bring a little bit of character to the table this year. 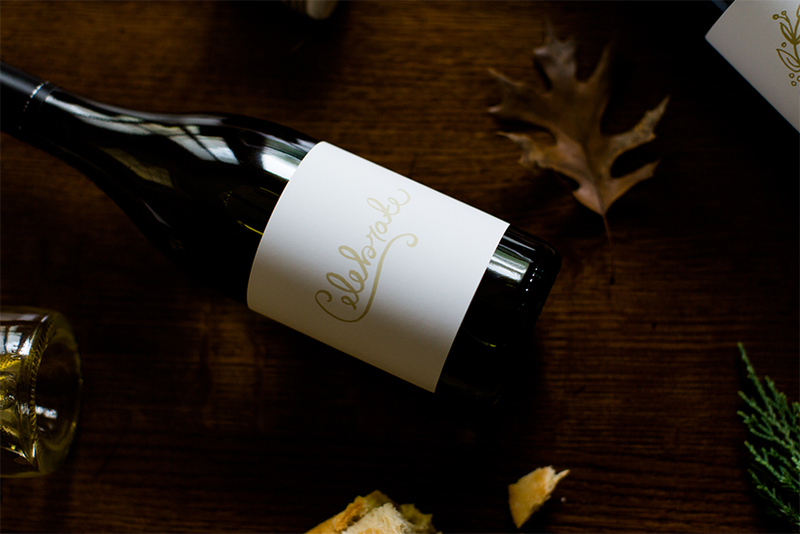 We created three downloadable wine labels that you can either add to the wine on your table or the wine you bring to a dinner you are attending. The whole process is very simple. To begin, you will need to remove the existing wine label. We just ran some water over the label and peeled back the sticker. One of the bottles left some sticker behind so we used a quick swipe of Goo Gone and it was perfect. It may be a good idea to run some soap and cold water over the bottle to completely clean the surface. 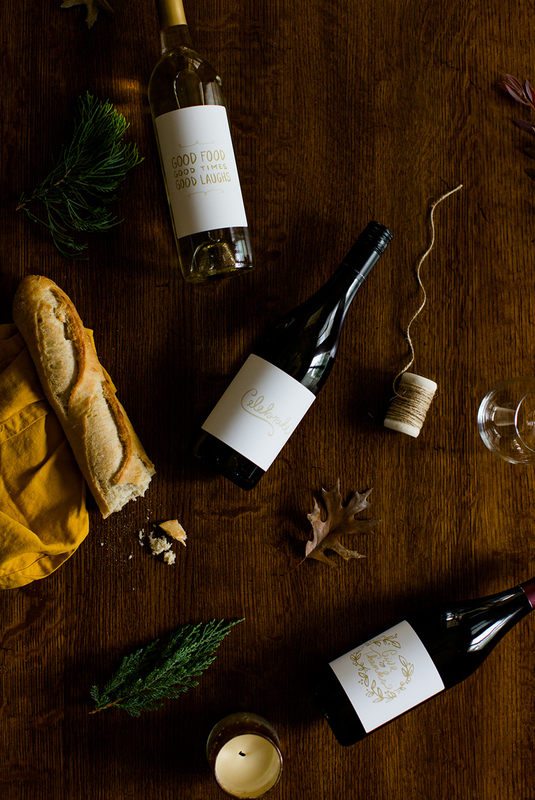 There are a couple supplies you will need to create the perfect holiday wine bottle. Ink Jet Printer, for 8.5 x 11 in. size paper. 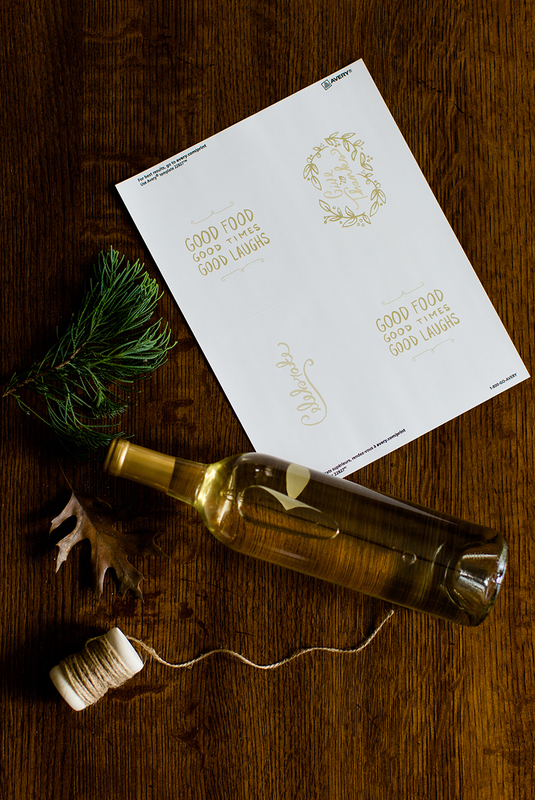 Once you have a clean and dry bottle surface, you will want to print the wine labels from the 8.5″x11″ 4up Avery sticker label sheet. 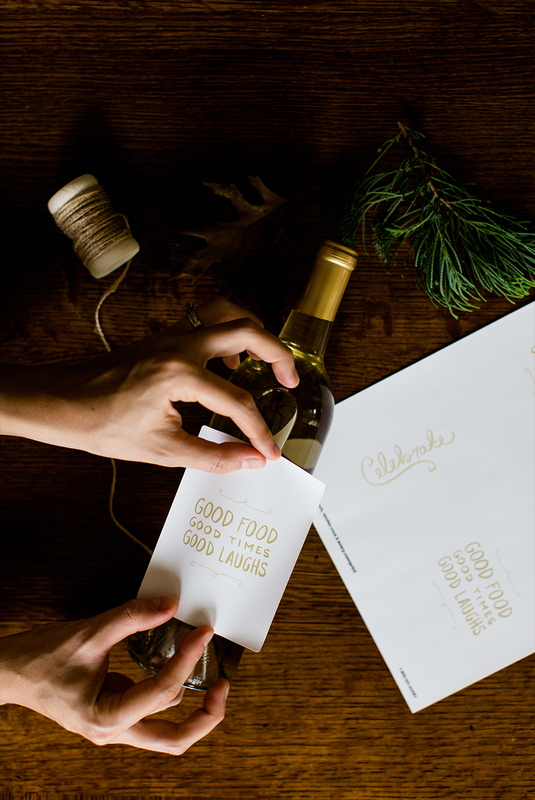 The template we provided is set up perfectly to print these labels. Once they are printed you will have the option of placing the label on vertically or horizontally. 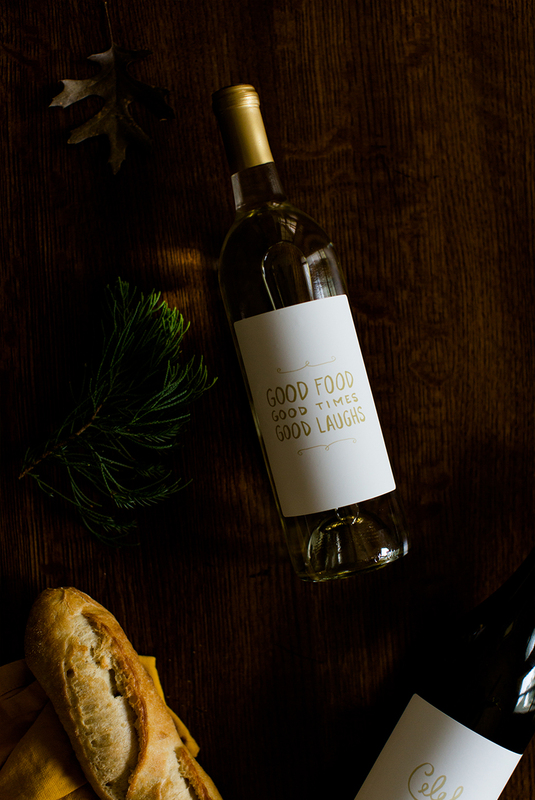 In general, white wine bottles look better with a vertical label and the shorter red wine bottles look better with a horizontal label, however it is totally up to you. All of these labels are also removable, so they can be used again if you would like. We would love to see how you use these on your table, so please @ mention us on Instagram or Twitter. I love these all! I am pinning them. Maybe I can do this today!!! This is such a great idea! 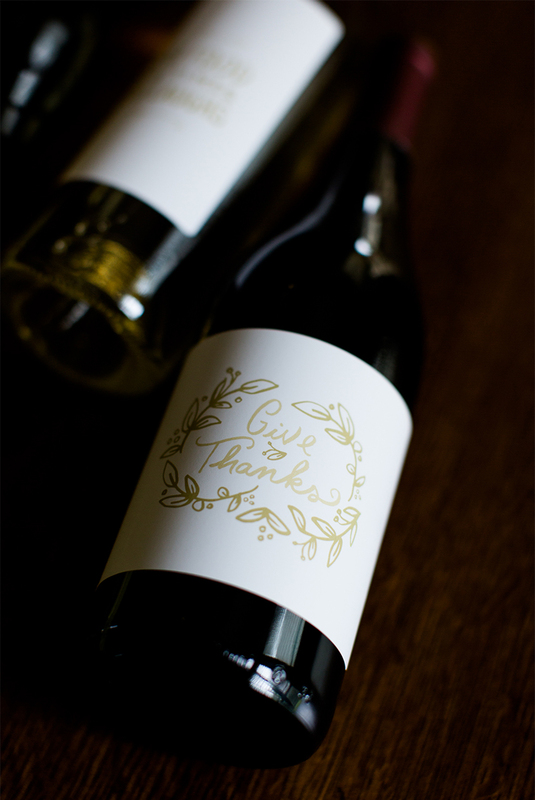 I love how these labels add such a fun and personal touch to wine bottleS. I’m definitely pinning this and using it sometime in the near future. 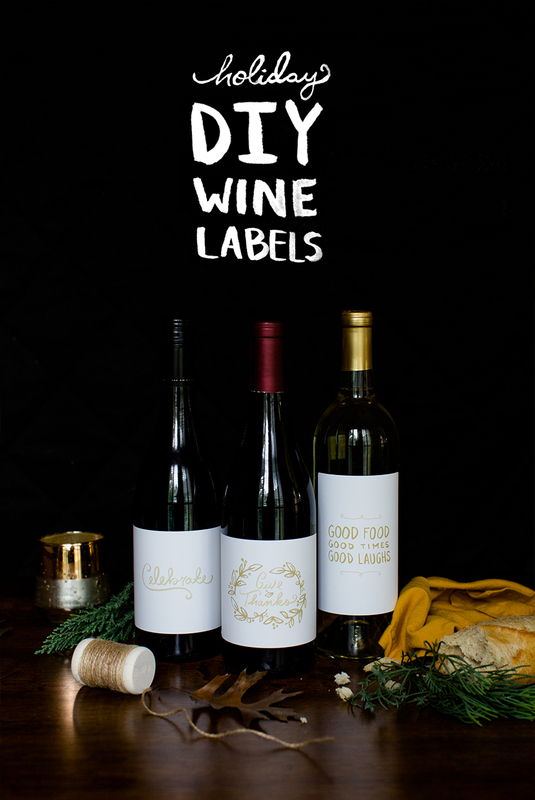 Thanks for Sharing these beautiful labels! I love the idea of adding a personal touch to the table or giving these bottles with the lables as a hostess gift. I hope you and Mike have a very Happy Thanksgiving!